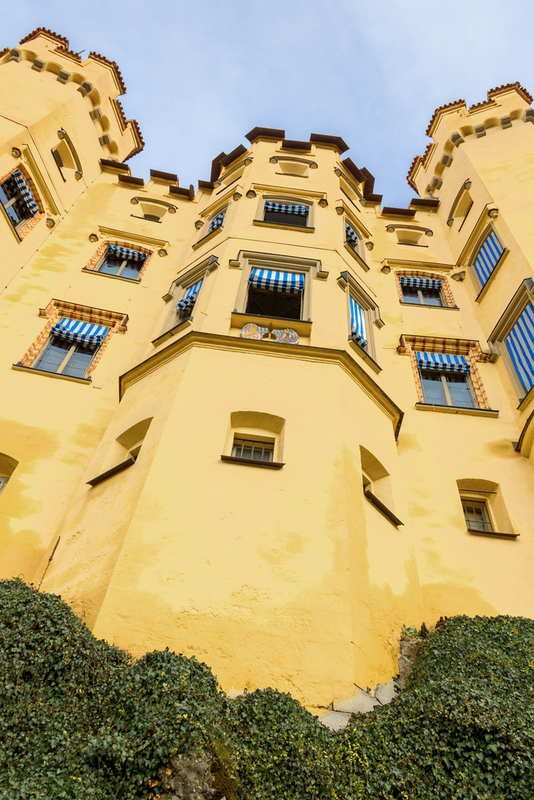 Conveniently found in the foot of the Alps, Hohenschwangau Castle is undoubtedly one of the best strategically placed and well built fortresses of all time. When inside the castle, you’re going to get an impressive view of the neighboring nation of Austria; it also offers a spectacular vantage point of the rolling plains, evergreen fields and impressive forests encircling the castle. The surrounding villages of Hohenschwangau consist of Schwangau town situated 2km from the fortress, Füssen city which lies 3kms away, Prontfen is 20kms away, and Garmisch-Partenkirchen is 50kms away. 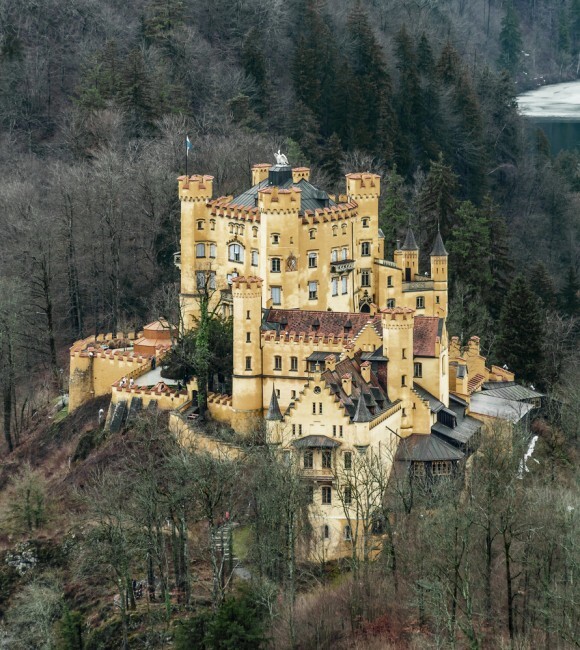 Of course, Hohenschwangau Castle is actually very closely situated to its slightly more famous cousin, Neuschwanstein Castle – you can visit and tour both castles in the same day. Hohenschwangau as a fortress may have existed since the 12th Century, despite the fact that traditional records usually do not point out the fortress before the fifteenth century. It wasn’t immune to the uncertainty of the periods as it experienced a huge number of sieges and invasions that remarkably left it unaffected. Nevertheless, the positioning of the fortress along the slopes of the famous Alps is such that kings made a decision to restore and continue to protect the fortress for strategic and military purposes. It was a tactical holding point for soldiers and a wonderful fortress that can withhold a large number of military at bay, thanks to its strategic geographic location on the Alps. The Castle can be viewed as amongst the key strongholds and locations that need to be conquered if anybody desired to invade Germany. It had been under the administration of Schwangau knights from the period between the twelfth and sixteenth Centuries. It served as the center of government for the Schwangau Feudal System, where it oversaw peasants undertaking work around farms in its outlying flatlands, governed by the knights. The latest version of the castle was built onto the remains of the fortress in the 19th Century by King Maximillian II of Bavaria. It was in fact the childhood home of his son, King Ludwig II, who went on to build Neuschwanstein Castle and later became known as ‘Mad King Ludwig’. During World War I and World War II, the castle suffered no damage. In 1923, the Bavarian Landtag recognised the right of the former royal family to reside in the castle. From 1933 to 1939, Crown Prince Rupprecht of Bavaria and his family used the castle as their summer residence, and it continues to be a favourite residence of his successors, currently his grandson Franz, Duke of Bavaria. In May 1941, Prince Adalbert of Bavaria was purged from the military under Hitler’s Prinzenerlass and withdrew to the family castle Hohenschwangau, where he lived for the rest of the war. There are special tours available for visitors who would like to start to see the inside of this fantastic fortress. 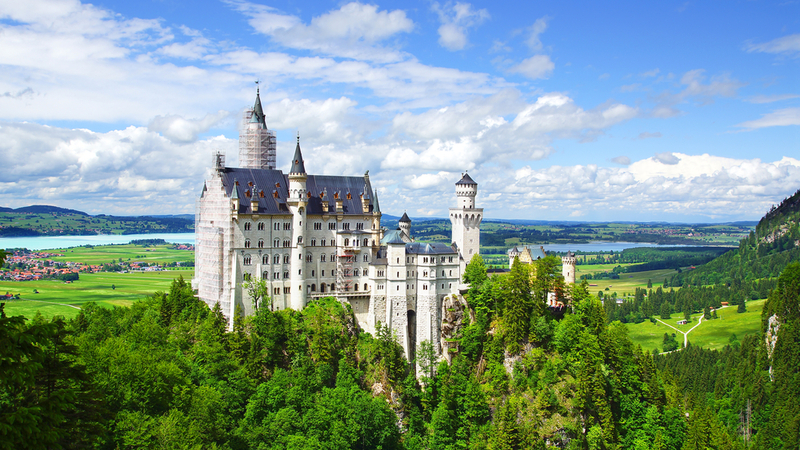 You can get tickets exclusively from the website of Hohenschwangau where you can also book tours for Neuschwanstein Castle too. Tickets are non-transferable and are just valid on the day the tour on the ticket is indicated. It is very important to be at the area given on the ticket at the specified time. The drive is around 4.5 hours from Ramstein, 4 hours from Wiesbaden, and just 2.5 hours from Stuttgart. Or for a more relaxed journey take Deutsche Bahn to Füssen and then a bus to Hohenschwangau. We also recommend that you check out the wonderful village of Füssen and stay at one of the fantastic Allgaeu hotels in the area. Peter Nowacki writes various travel articles.